Designing a logo was a key component in the marketing plan and outreach for Native Artists United. When Shawna Fricke (Paiute/Taos Pueblo, from Big Pine, California) arrived in North Dakota from California, she didn’t find much representation for the artist community. Used to galleries, workshops and an artist scene, she says she found the environment shocking and yearned for the collaboration and support of fellow artists. Indeed, the artist environment Shawna arrived at was bleak. According to Sacred Pipe Resource Center Executive Director Cheryl Ann Kary, there were American Indian artists active in the area, but there were no formal structures for them in place. The North Dakota Indian Arts Association had created “Five Nations Arts” with plans to start a cooperative, but the association was dissolved, and Five Nations Art was sold to the Fort Abraham Lincoln Foundation. Cheryl Ann says the organization was able to occupy a small retail space for a time in the historic train depot. Still, this shop operated as a consignment gift shop, where art was routinely marked up to sell to tourists, with proceeds not going back to the artists. Adding insult to injury, the lease was renegotiated, the building was converted to a bar, and the Five Nations shop was moved again to a smaller, even more out-of-the-way section of the building, reduced to 5% of the overall space. What little visibility artists had was further tucked away, and the value of and cultural meaning behind their art was further diminished. The move again to a smaller location, combined with the overall state of neglect for the area’s artists, was the impetus for action. Holly reached out to Cheryl Ann at Sacred Pipe and an idea took hold. Holly Doll, Willow Doll, Stacey LaCompte of North Dakota Indian Business Alliance, Taylor Wilkinson, Shawna Fricke, Emma Goodhouse-Doll, and Cheryl Ann Kary (not pictured) of Sacred Pipe Resource Center discuss next moves for Native Artists United. Holly and Cheryl Ann set out to combine the momentum of Five Nations Art with the resources of Sacred Pipe. Sacred Pipe Resource Center addresses the “social/cultural, emotional, mental, spiritual and physical needs of Native people of all tribes living in the Bismarck-Mandan and surrounding areas.” What sets the organization apart is that it serves Native people throughout North and South Dakota who are residing equally on and off reservation. Together Holly and Cheryl Ann connected with six artists from the Bismarck-Mandan area with whom Sacred Pipe and Five Nations Arts had previously worked. These artists have skills in beadwork, Native jewelry, Native fashion, print art, star quilting and other artistry. Together, the group developed a formal structure for the cooperative and delved into opportunities to strengthen their collaboration, share resources and restore the value of their art in the community. They met regularly to draft bylaws, set up policies and formalize Native Artists United. They utilized funding from First Nations to hold a strategic planning and visioning session to further hone their efforts. 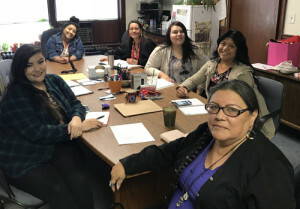 The addition of the executive director of the North Dakota Indian Business Alliance, Stacey LaCompte, to the group led to further plans to complete a business plan, register with the state, and delve into marketing. Because so many Natives reside off reservation, funding was needed to reach these artists, as well as develop the legal and business structure of the group. The structure chosen was a cooperative, which is in line with the traditional tribal values of cooperation and democracy, Cheryl Ann says. It’s a structure void of competition so that it doesn’t thwart the perpetuation of Native arts. It’s built on collaboration, belonging, vision and shared beliefs. 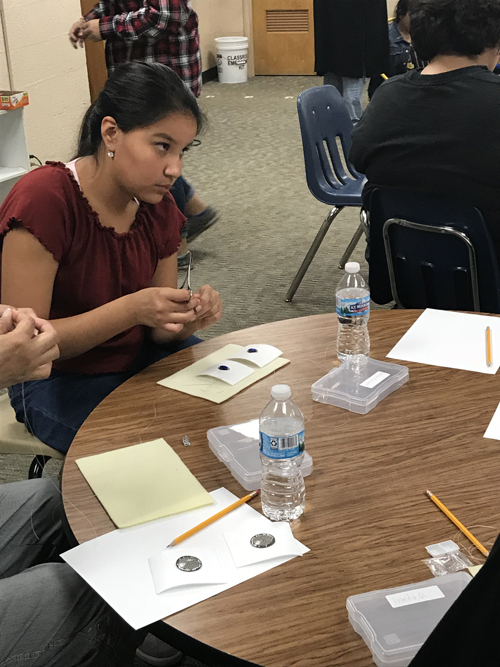 Native Artists United reaches out to young people through the Thusweca Beading and Cultural Academy. Here, a student in Taylor Wilkinson’s class learns the art of flat/running stitch beading. The choice of a cooperative is also in line with the Sacred Pipe Resource Center itself, which uses the symbol of the sacred pipe to demonstrate partnerships and positive collaboration based on shared experiences. Another attribute of Native Artists United is that it is women-based. Now formalized, the cooperative has moved on to create a marketing plan to leverage its time and talents. This was needed to not only increase visibility but to make sure art is assigned the proper value. “In the consignment model, art was sold to the Lincoln Foundation at the lowest possible price, and then marked up 300%,” says Cheryl Ann. These classes let teens know art can be more than a hobby. It can be a means of livelihood. The group also set out to attend art fairs and events that typically didn’t have Native representation. With funding they could cover fees for the events, share marketing material about the cooperative and hold debriefing sessions to evaluate their needs and successes. The objective involved practicing their skills in working together, and it was a critical step in moving beyond the devaluing consignment store and getting Native artwork in front of more audiences. 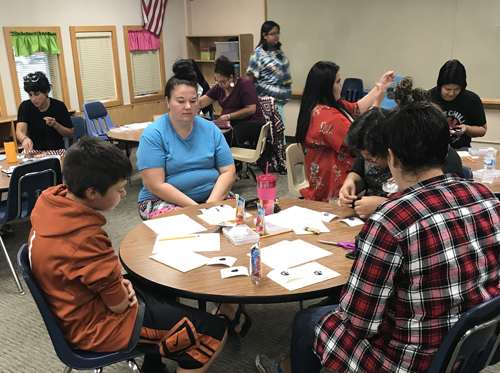 Stacey LaCompte, Executive Director of North Dakota Indian Business Alliance, says Native Artists United is now empowered to tell the story of their art, culture and history. Native Artists United is already having an impact. Through the group, there’s more collaboration and outreach for artists and there’s more support to pursue art as a means of livelihood instead of as a quick buck at the consignment store. The group is also engaging with young people through the Thusweca Beading and Cultural Academy, showing kids it is possible to do art as a rewarding and viable career. For every member of the cooperative, the impact of Native Artists United has been substantial. For artist Willow Doll, Holly’s sister, the cooperative has provided an additional unexpected benefit. She had wanted to branch out more as an artist, but struggled personally with the anxiety of speaking to potential customers and selling her art. Through the encouraging and non-competitive cooperative, she’s overcome this fear. “I’m not afraid anymore,” she says. 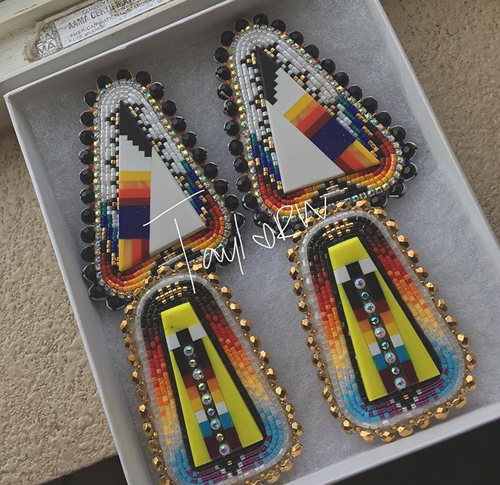 Taylor’s sophisticated beadwork is one of the many forms of art being fostered through Native Artists United. A formal evaluation process is now underway to gather data on the cooperative’s progress and identify next steps. Meanwhile, art in the Bismarck-Mandan area is slowly returning to its rightful place. The purpose of First Nations’ Native Arts Initiative is to support Native artistic practices in tribal communities, increasing the intergenerational transference of these practices in tribal communities and ultimately stimulating the perpetuation or proliferation of these practices. To this end, Cheryl Ann says First Nations not only provided the funding for the cooperative and the outreach, but also guided the group in establishing a vision where Native artists are valued. Youth now understand that art can have a future – it doesn’t have to be a side hobby or a way to make a quick buck. “Our art is our language,” adds Emma. “It’s how we keep track of the events that happen to us,” adds Holly. And it creates a network. For Shawna, who’s made her home in North Dakota, she now has the connection and inspiration of fellow artists and a place to reclaim traditions. For her and the Native tribes and communities of the Bismarck-Mandan area, there’s no longer nothing. There’s art. Hi Shawna! I have forwarded your request to Amy, so she should be following up with you.